So I have been on Pinterest for a while now. I know that its addicting. From pinning recipes, to home decor, clothing that may never look good on me, or whatever! Its fun... and again addicting. A friend of mine, asked me to CASe a card she pinnned. I made a box of 5 for her. She doesn't have them yet, since I want to make the box, and see if I can make a few more, with other main images! 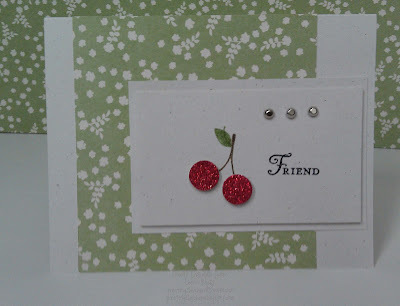 Now, I used the retired Tart and Tangy, and the sentiment Friend is from You're a Gem. 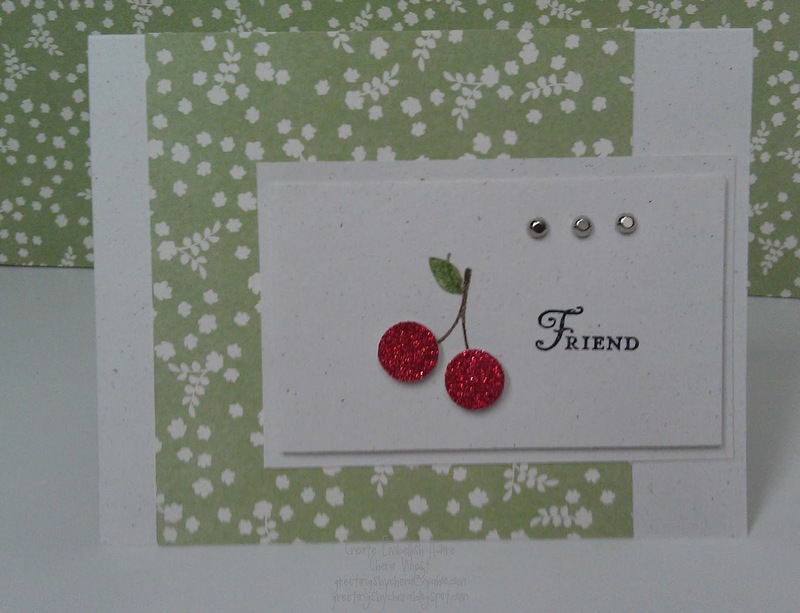 Of course, I have made different color combinations, with the cherries, and sentiments. I like this one the most! I am sure she will too! Now that I know she has a strong liking for cherries, this will assist in gift making for her birthday too!